Located on the far west side of the large Paradiski ski area is the village of Montalbert. 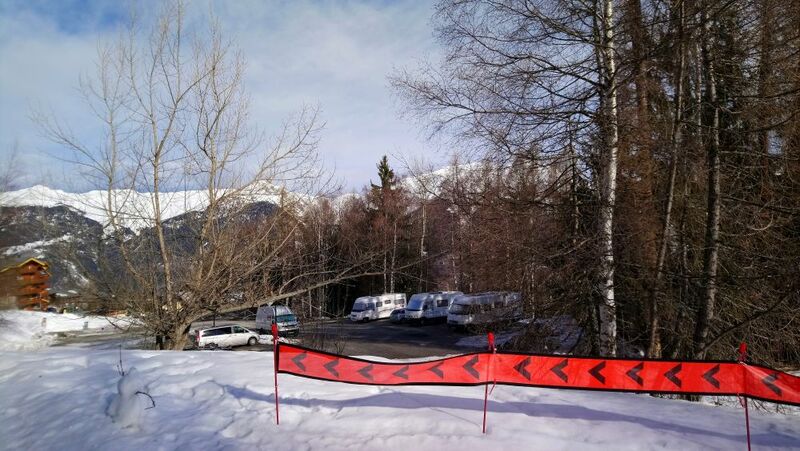 At the top of the village is a large car park with a ‘Euro Relais’ motorhome service area for fresh, grey and black water. Parking is free! The only cost is 2 Euro per 100 litres of fresh water, black & grey water can be emptied without charge. There is no electric hookup in the car park (except on the Euro Relais terminal itself – and this is limited to a couple of hours at a time), so you will need a generator if you are staying for a number of days (The aire gets very little sunlight in the winter so you won’t get much energy from solar). None of the parking spaces are very level so you will need decent size leveling ramps. 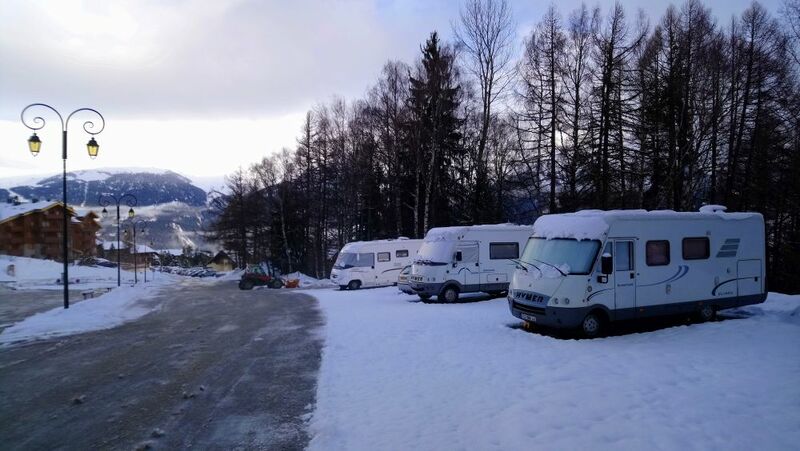 We were there at Easter and there was only three vans on the car park, and considering it is right next to the Montalbert pistes (with a Gondola link up to the main La Plagne ski area) and free to stay it is a bit of a hidden gem!